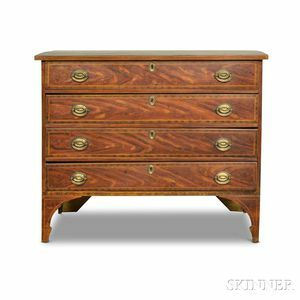 Federal Grain-painted Chest of Drawers, New England, 19th century, (restoration), ht. 35 1/2, wd. 42, dp. 18 1/2 in.